The Open Public Records Act (OPRA) allows members of the public to access certain records of the police department. Any request for records must be for a specific incident and the requestor must know what record they would like as the agency is not required to do “research” as this would be costly to the taxpayers. A request for a copy of Government Records should be submitted on a Government Records Request Form which has been adopted by the Custodian of Records for requests related to Police Division Records. Some records will be immediately available during normal business hours. Some records will require time to locate and to make the copies requested, but will normally be available during normal business hours and within seven (7) business days. If any document or copy which has been requested is not a public record or cannot be provided within the seven (7) business days, you will be provided with a response with that information within the seven (7) business days. Some records requested have specific fees or other response times established by statute. There is no fee involved in simply inspecting a document during normal business hours. This request may be filed electronically. • A copy or copies of a government record may be purchased by any person upon payment of the fee prescribed by law or regulation. Except as otherwise provided by law or regulation, the fee assessed for duplication of a government record embodied in the form of printed matter shall be $0.05 per letter size page or smaller, and $0.07 per legal size paper or larger. If a public agency can demonstrate that its actual costs for duplication of a government record exceed the foregoing rate, the public agency shall be permitted to charge the actual cost of duplicating the record. The actual cost of duplicating the record, upon which all copy fees are based, shall be the cost of materials and supplies to be used to make a copy of the record, but shall not include the cost of labor or other overhead expenses associated with making the copy except as provided for in subsection (c) of this section. Access to electronic records and non-printed materials shall be provided free of charge, but the public agency may charge for the actual costs of any needed supplies such as computer discs, DVD’s etc. • Where a request is for a copy in a format other than a photocopy, reasonable efforts will be made to provide the information in the format requested. The cost will be based on the costs of producing the format requested. • Where a legal determination must be made as to whether records are “public records” as provided by law, the request will be reviewed by the Municipal Attorney. 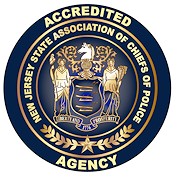 The term “public records” generally includes those records determined to be public in accordance with N.J.S.A.47:1A-1. The term does not include employee personnel files, police investigation records, or other matters in which there is a right of privacy or confidentiality or which is specifically exempted by law. In order to get any records under the Open Public Records Act, the following form must be completed: Manchester Township Government Records Request Form. Once the Government Records Request Form is completed it may be hand delivered, mailed or faxed to the Manchester Township Municipal Clerk’s Office.